People trying to understand the Great Recession often look back to the Great Depression. Nevertheless, because the economy of the 1930s was self-contained, its dynamics are unlike those of the contemporary economy. Americans reformed their economy, society, and politics in the 1930s with minimal concern that imports would replace domestic production or exports could expand demand. Global connections were few and marginal to the recovery. Corporations complained about New Deal reforms, but they had no better opportunities outside of the United States. A better way to understand the Great Recession is to link it with the recession of 1970s. The economies of the 1970s and the contemporary world are global. In both eras, U.S. prices, output, and incomes no longer were exclusively determined domestically. U.S. economic policy not only affected the rest of the world, but those responses in turn affected the U.S. economy. Both periods contained imbalances among the major trading nations that led to recession. "...People trying to understand the Great Recession often look back to the Great Depression. Nevertheless, because the economy of the 1930s was self-contained, its dynamics are unlike those of the contemporary economy... A better way to understand the Great Recession is to link it with the recession of 1970s." The recession of the 1970s affected the whole developed world. It was caused everywhere by glutted markets for tradables - mainly manufactured goods - and rising oil prices, which quadrupled at the end of 1973. Between 1973 and 1975, the long period of postwar economic growth ended. Productivity had slowed in the late 1960s and plummeted in the 1970s in the U.S. From 1973 to 1976 it actually fell 0.54 percent. (The productivity of Japan and West Germany rose 6 percent and 3-4 percent, respectively.) Wages began stagnating in 1973. Unemployment peaked at 9 percent in May, 1975 in the midst of the deepest recession since the 1930s. Because the new conditions challenged previous ways of managing economies, Europe and Japan employed new industrial policies to protect key industries -- cartelization, trade protection, and government loans. The United States did not. First, the U.S. continued to use its vast market to stabilize the global economy. President Jimmy Carter said in 1977, "free access to U.S. markets is a matter of ranking importance for our allies and almost all the developing countries of the world." Second, the nation persisted with Keynesian, macroeconomic techniques that it had employed in the postwar years. The labor movement proposed microeconomic industrial policy to address the crisis, but the reformed Democratic party, less responsive to labor, was uninterested. Unable to govern effectively, in 1980 Democrats yielded power to a Republican party that promised to restore prosperity. President Ronald Reagan's policies did bring back growth, but they also altered the postwar mixed economy, privileging capital and sacrificing manufacturing for the chimera of high technology, finance, and real estate. The debt-fueled consumption produced by this recomposition of the economy led in time to the Great Recession. GDP rose from -2.2 percent in the recession year 1982 to 4.5 percent in 1983 and 7.2 percent in 1984. Still, Reagan's promises of increased productivity and investment were unkept and the trade deficit grew, now accompanied by a huge budget deficit. Every form of saving - personal, business, and public - plunged during the 1980s. Spending for plant and equipment fell from 12.1 percent of GDP in 1981 to 10.3 in 1986. It averaged about 10 percent from 1986 to 1989, compared with 11.6 percent during the Carter years. Continuing the lackluster trend of the 1970s, productivity rose only 0.8 percent. The budget deficit rose from 2.6 percent of GDP in 1981 to 5.4 percent in 1985. Increased consumption, resulting from huge tax cuts, married to the strong dollar allowed imports to replace domestic production and made exporting impossible. The trade deficit grew to over 3 percent of GDP when it was slightly over 1 percent during the late Carter years. Most of the deficit was composed of imports of manufactured goods. New investment went into nontradables, items that must be produced as well as consumed at home, like housing, retailing, defense, and finance. 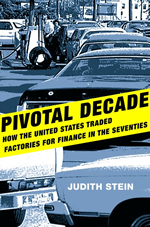 The U.S. addressed the global excess of the 1970s by exiting from many tradable industries. In the international recession of the early 1980s, U.S. steel production fell 40 percent, in contrast to drops of 12 and 21 in Japan and Europe, respectively. Autos, machine tools, machinery and other high value items reveal similar statistics. "...the economy rooted in nontradables led to the current Great Recession... The U.S. was consuming more than it was producing. Easy access to consumer credit and credit-fueled rises in home values masked wage stagnation and subsidized consumption..."
But the economy rooted in nontradables led to the current Great Recession. Because Americans still used manufactured goods, they imported more of them. The trade deficit peaked at 6 percent of GDP in 2006. The U.S. was consuming more than it was producing. Easy access to consumer credit and credit-fueled rises in home values masked wage stagnation and subsidized consumption. That is where finance entered the picture, as its role was to fill the demand gap. Nations which accumulated dollars from their trade surplus with the U.S. (especially China, Japan, and Germany) bought U.S. securities, which kept interest rates low. People could borrow to maintain living standards and felt richer than they were as the prices of their housing assets rose. In short, consumption was maintained by increased national and household debt and asset inflation, instead of wages. Financial deregulation and innovation and regulatory forbearance kept the economy going by making ever more credit available, The house price bubble was simply the last and biggest bubble and was effectively the only way around the stagnation that would otherwise have developed in 2001, in the wake of the high tech collapse. Cheap money enabled people with stagnant incomes to maintain consumption, especially home buying which was encouraged by both parties. And for some Democrats, fostering home ownership was a politically safer alternative to supporting wage growth. In 2006, Democratic Senator Jack Reed of Rhode Island stated, "When homes are doubling in price in every six years and incomes are increasing by a mere one percent a year," extending home ownership was critical to the nation. Finally, the low interest rates encouraged banks and other financial institutions to take excessive risk in order to increase earnings. "People could borrow to maintain living standards and felt richer than they were as the prices of their housing assets rose. In short, consumption was maintained by increased national and household debt and asset inflation, instead of wages... Cheap money enabled people with stagnant incomes to maintain consumption, especially home buying which was encouraged by both parties..."
When the public's willingness to increase its debt load waned as real estate prices fell, consumption, economic activity and employment fell along with it. The collapse of the consumer credit and housing price bubbles in 2007 and 2008 ended this pattern of economic growth. There was financial misallocation and regulatory failures, the most common explanation of the crisis. But the cause was the model of globalization that produced leakage through spending on imports (the trade deficit), leakage of investment spending offshore, and leakage of manufacturing jobs offshore. The resulting deficient demand used debt and asset price inflation to fuel growth instead of wages. Initially, President Barack Obama seemed to understand this. Obama told CNN in September, 2009. "We can't go back to the era where the Chinese or the Germans or other countries just are selling everything to us, we're taking out a bunch of credit card debt or home equity loans, but we're not selling anything to them." Obama thus rejected the solution to the crisis of the 1970s, the postindustrialism that caused the current crisis. But the president's deeds did not match his words. He and his advisers acted as if this was a severe, but ordinary recession. The largest item in the $787 billion stimulus was tax cuts (32 percent), which were mostly saved. The rest supported living standards, like food stamps and unemployment insurance, state and local employment, and some research and infrastructure. Money went scattershot to different energy projects and some transportation projects. This was a Keynesian stimulus that did nothing to alter the imbalances that caused the recession. 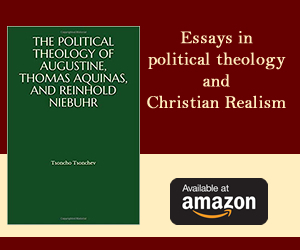 "...Obama rejected the solution to the crisis of the 1970s, the postindustrialism that caused the current crisis. But the president's deeds did not match his words. He and his advisers acted as if this was a severe, but ordinary recession... [The $787 billion stimulus] was a Keynesian stimulus that did nothing to alter the imbalances that caused the recession." Moreover, there is meager possibility for the growth of the nontradable jobs. Government at all levels is the largest employer in the nontradable sector and accounted for more than 22.5 million jobs in 2008. Health care is a close second, with 16.3 million. These two combined to produce almost 40 percent of the total net incremental employment in the economy since 1990. Today, as state and local government reduce employment because of budget problems, expansion of public employment in the short term is unlikely. Health care already composes 16 percent of the GDP and it is unlikely to grow. Moreover the federal government, which spends most on health care, is looking for ways to reduce costs, and that means reducing employment. The housing sector, usually the first industry to emerge from recession, is overbuilt. Retailing also seems and unlikely source of new jobs because its expansion was based upon debt-fueled consumption. The obvious source for new jobs is the tradable sector. Thus the main avenue to growth must be through reduction of the $800 billion trade deficit. Reducing the trade deficit can come from a combination of importing less and exporting more. The U.S. can produce more of what it consumes and export more of what it produces. Despite talk of companies returning production to the United States, the chronic U.S. trade deficit in manufactured and high tech goods has been rising. The drivers of this deficit are Germany and China. Both nation's responses to the Great Recession were export drives (like Germany and Japan in the 1970s), which succeeded. As the fortunes of these nations show, trade policy matters. "...The obvious source for new jobs is the tradable sector. Thus the main avenue to growth must be through reduction of the $800 billion trade deficit. Reducing the trade deficit can come from a combination of importing less and exporting more..."
More active responses to nations that manipulate their currency and other important trade issues require American leaders to privilege economic growth over national security issues like Iran's nuclear policy or North Korea's bluster. Increasing the tradable sector will also entail a better tax system, consumption rooted in higher wages not debt, public support of critical industries, and the requirement that companies that sell in the U.S. to also produce here. Without new growth policies, the nation faces incomplete recovery, economic stagnation, and low wage employment, conditions that plant seeds for yet another crisis. Given the still hefty size of the U.S economy and the intellectual weight of its ideologies, it is in the interest of the global economy, as well as the American people, that the nation creates a new, sustainable model of growth.